You can choose to make a welcoming wreath to hang on your front door or a gorgeous festive table centre piece this Christmas. Cost includes all materials. 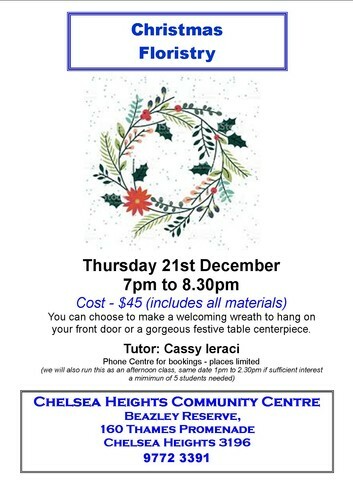 Phone Chelsea Heights Community Centre on 97723391 for bookings.